Originally acting as view ports for potential customers, the first floor storefront windows differed from the windows found on the floors above. These windows were monumental in scale, each composed of two massive pieces of glass measuring more than six and a half feet in height and width. 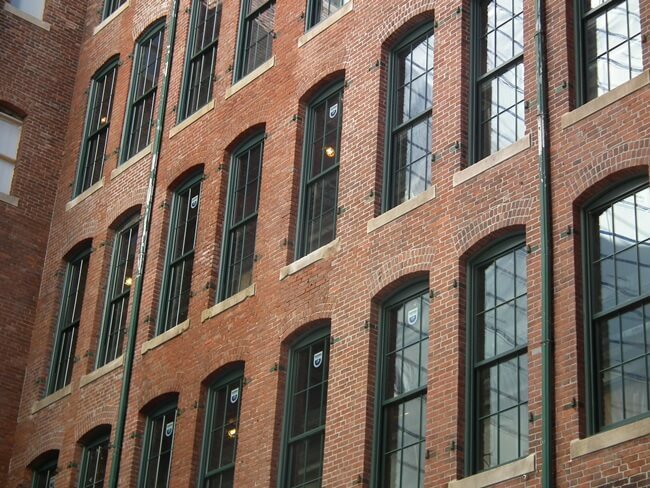 The storefront windows were restored by M&A, including the copper clad mullions, which were discovered once the windows had been stripped of their existing paint. 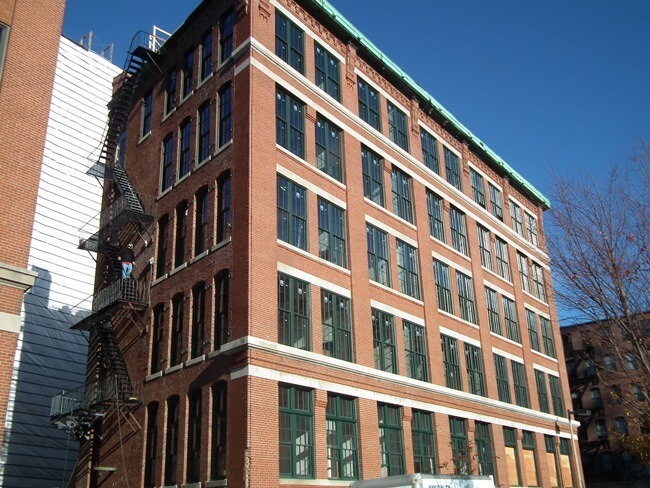 The late 19th century brick façade commercial structure is now home to Factory 63, a high-end apartment and live/work space. 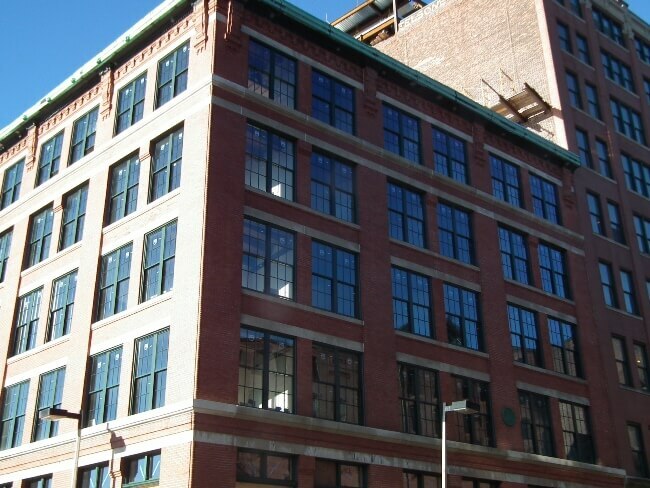 Like many of its counterparts in the Fort Point community, it signals a new age for the Seaport district and South End of Boston, bringing new life to the historic neighborhood. Please call us at 978-683-0880 or fill out the form below.